This is a story about an amazing horse that demonstrates the expertise and dedication of the doctors and staff at the Hebrew University of Jerusalem’s Veterinary Hospital. 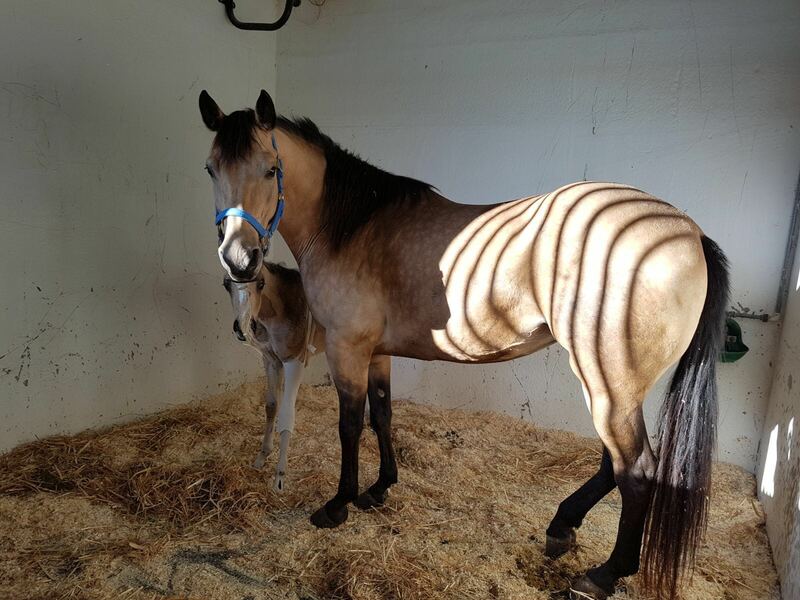 At the beginning of the year, Keshet, then a three-week-old foal, was brought into the horse department at the Veterinary Hospital because of a sudden paralysis she experienced in all four of her legs. After a comprehensive diagnosis, which included blood tests, spinal cord sampling (CSF), X-rays, and a CT scan, doctors found an infection that pressed her spinal cord. This type of infection is very rare in horses and veterinary literature reports only one case. Despite the critical condition of young Keshet, her owner decided to treat her in the hopes the horse could live a happy and healthy life. Keshet had two emergency surgeries and was treated with high doses of medicine and liquids. After five days, when Keshet was stronger but could still not stand, she was scheduled for another emergency operation, to clean the infection again. But a few hours before the surgery, she showed repeated attempts to stand up and on the morning of the scheduled operation, she managed to stand on her own and was able to nurse on her own. Since then, Keshet continues to show incredible improvement every day. She can get up and lie down on her own, walk, nurse, eat hay and drink water. A later CT scan showed the infection was immensely diminished but still present. Luckily, the infection was not straining her spinal cord, so the doctors decided not to operate but to switch antibiotics. While expensive, the new medicine is essential because it penetrates the bones effectively. Keshet was also fitted with a brace to help stabilize her right front leg. After a short amount of time, the brace was removed and Keshet is able to move slowly and carefully. This spirited and persistent little horse is an inspiration to her main caregiver, Dr, Anat Schneiderman and to many who hear her story. While she still has a long way to go in her recovery, Keshet continues to fight and get better day by day.